Sylvania Lightify as Good as Philips Hue? 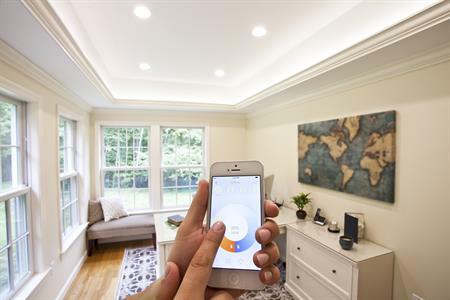 When you begin looking into how you can make your home into a smart home, the first thing you usually start with is the lighting. It makes sense to start there since it’s the easiest to setup and the features included with smart bulbs are ones that even non techies will enjoy. 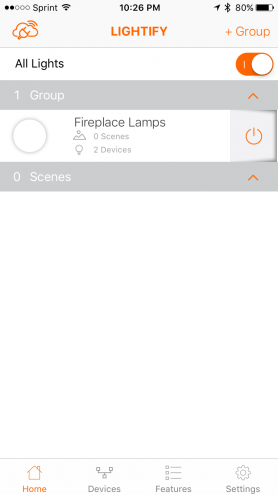 The even nicer thing about starting with lighting, is that if you get the right setup, such Sylvania Lightify smart bulbs by Osram, it’s the least expensive route you can go to start building your smart house. 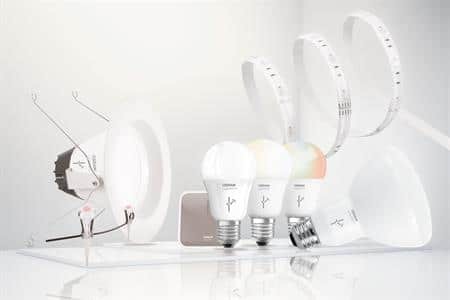 As we review the Osram Lightify smart bulbs system, we’ll also at times refer to the most common and well known of the smart lighting systems, the Philips Hue. You’ve likely heard of it before and perhaps you’ve even checked out our Philips Hue review. While the Hue is a great system, it’s a bit pricey, and once people see the price they often walk away from smart home technology altogether. For that reason we decided to go on the hunt for alternatives to the Hue smart bulbs and that’s when we found the Osram bulbs. We’ll let you know throughout the review how they do or don’t standup to the Philips Hue system. 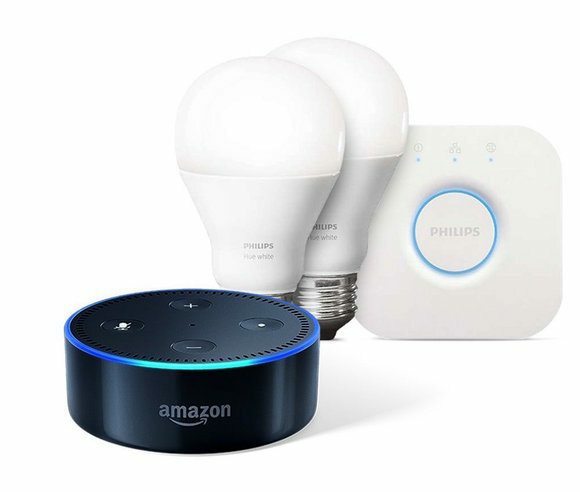 The Sylvania Lightify smart bulbs by Osram standout in one very large way when comparing it to pretty much any other smart bulbs that you can control via an app, hub, or Amazon Echo, and that’s by price. They are one of the, and at times the, lowest priced smart bulb on the market. This of course makes one wonder what quality or features must be left out with such a large price difference, something which we’ll explore as we review it below. Depending on the merchant, prices range from $8 per bulb to $25 for the normal lighting (A19 tunable white) which will dim and soften but not change colors. The A19 RGBW bulb with color change capability, runs $10 more, and usually prices at about $30 per bulb. For comparison, the Phllips Hue tunable white bulbs run $30-50 per bulb for white and around $60 per bulb for multi color functionality. You will also need a bridge or hub to connect the lights to one another. The Lightify bridge / hub that connects them cost approximately $20 alone, but may run as high as $30. 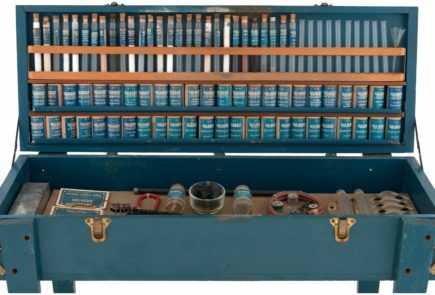 The best way to start cost wise is with the starter kit. The Lightify starter kit comes with 1 white bulb and the hub from $26 and the Philips Hue starter kit comes with 2 white bulbs and the hub for $70. Which bridge or hub do you need? If you are running only the Osram Lightify bulbs and plugins, you will only need the Lightify hub. If you are running more than Osram smart products in your home, you’ll want to skip the Lightify hub and instead purchase Wink or SmartThings hub. There are other compatible hubs too, but these are both the best, with SmartThings being the least expensive as well as the most compatible with the most smart home products. A hub will run you $50-100. 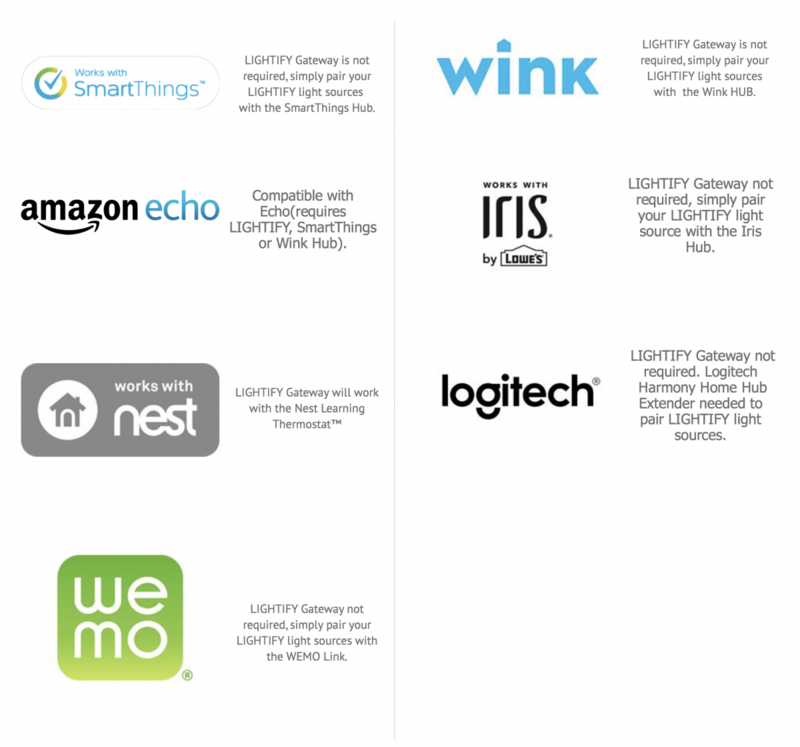 The hubs that are compatible with Lightify smart bulbs include: SmartThings, Wink, Iris, Logitech, Nest and Wemo. 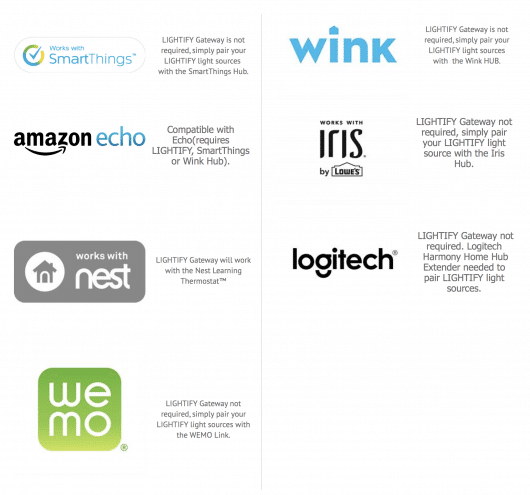 Amazon Echo is also compatible as long as you have a Lightify, SmartThings or Wink hub. You can see the list in the image below. What will it cost you in total to add smart lighting to your home? To figure out the total cost for starting up lighting in your home add up the approximately $20 per fixture (unless you find the bulbs for $8 as we did on Lowe’s.com) you’ll be wanting to have a bulb in, plus the cost of the Lightify hub $20-30, or the cost of a larger smart home hub such as SmartThings $50-100. 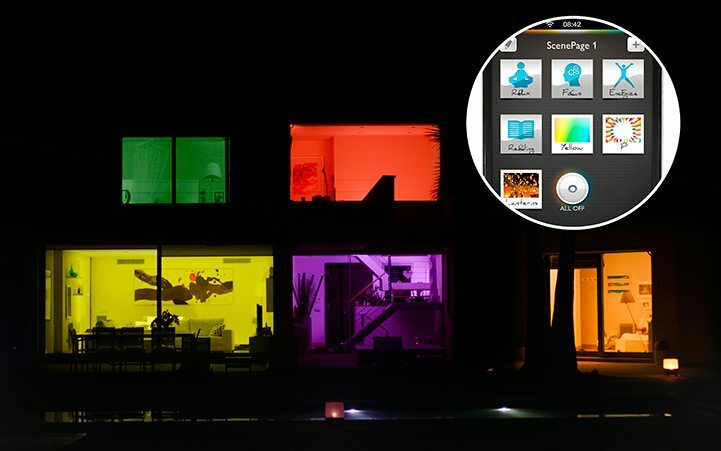 CONTROL YOUR LIGHTS FROM ANYWHERE in the world from the palm of your hand. The Sylvania Lightify RGBW A19 produces beautiful high quality light that you can tune, dim, and control from your smartphone or tablet. Easy to setup, just download the Lightify app, bulbs fit into your standard household sockets – no need for installation by an electrician. A wireless network is required to operate bulbs. COME HOME TO A BRIGHT HOUSE: Create rich light scenes in your home in thousands of colors and 2700-6500K white. Schedule to turn on the lights so you don’t come home to a dark house. Set automated timers, or program the bulb to gradually increase brightness in the morning like the sunrise for a more pleasant, natural alarm. MORE PLEASANT LIGHT: RGBW + Tunable White can make you feel better and more productive- select a natural daylight color for reading and concentration, or a warm white or candlelight when it is time to relax. RGBW capability allows customized light settings from thousands of colors for any ambiance or mood. SAVE ENERGY: Lightify bulbs use up to 84% less energy than traditional incandescent bulbs and last up to 20,000 hours making them a smart choice for energy conscious homes. Compared to Philips Hue: The Philips Hue has all of these functions and features as well but it also can work with your music in a fun way. Setup was and is very easy. 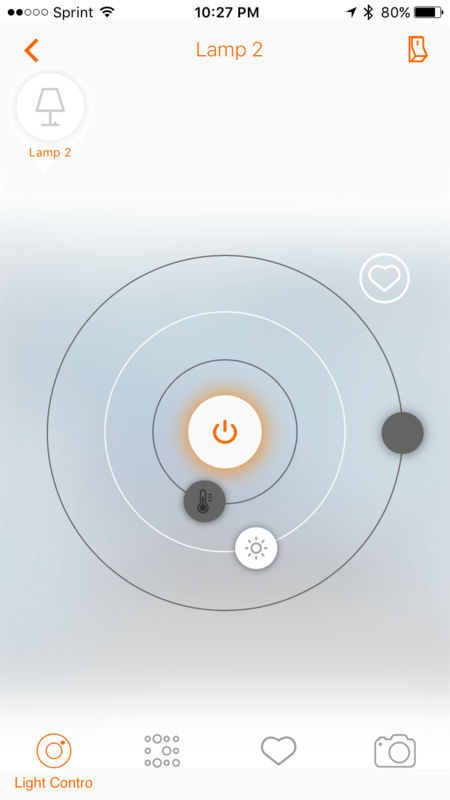 To connect the bulbs to your phone so that you can control them through the Lightify app, and / or through your Amazon Echo, you’ll first put the bulbs into whichever lights you’re going to want them in. If you’re going to be using only Osram lighting in your home and no other smart products you’ll then add the Lightify wireless connector or hub. If you’ll be using other light bulbs and other smart home technology, such as a smart thermostat or smart sprinklers, you’ll want to get a compatible hub such as the SmartThings or Wink, both of which will also work with Echo. 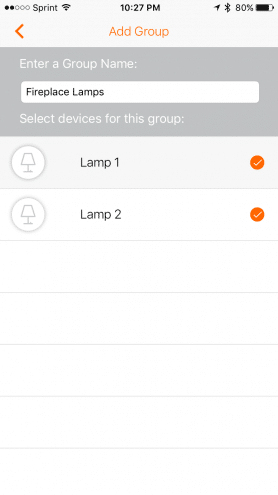 Once you have either the Lightify wireless hub or another hub that you’ll be using, you just follow the steps on the Lightify app for setup. It takes about 5 minutes. Once you have it all connnected you can then assign a name to each light fixture. You can give it a group name as well if you wish for the lights to turn on together, as you can see from my screenshot where I called my living room lamps over my fireplace my “fireplace lamps.” I usually turn them on or off togehter and do not use them individually so having them set to the same settings is what I choose. Settings are in the app and allow you to choose how long to take for the lights to turn on to full power, or how long to shut down. YOu can have them turn on or off or have them dim off or slowly turn on. 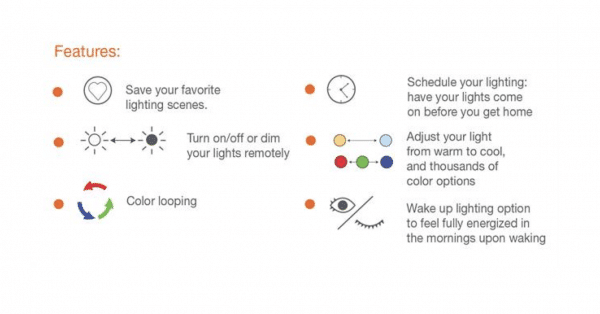 This is also a feature you can use as an alarm, similar to that of the Philips Hue lights. You can set the lights to turn on at a specific time of day, every day or particular days, and have them slowly increase in brightness over a few minute or second period so as to slowly and gently wake you up. You can of course also control the bulbs with your Lightify app that you used for setup. You don’t have to have an Amazon Echo unit. Amazon Echo is just good for if you wish to give voice commands or if you don’t always have your smartphone nearby to operate the lights. The Lightify app is available on Android or Apple devices. 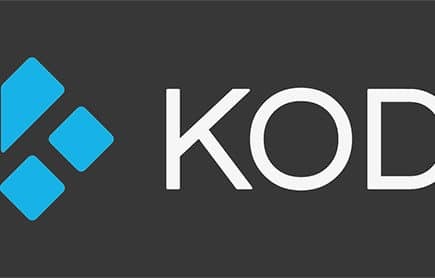 The app is very easy to use and figure out, no glitches and response was quick. 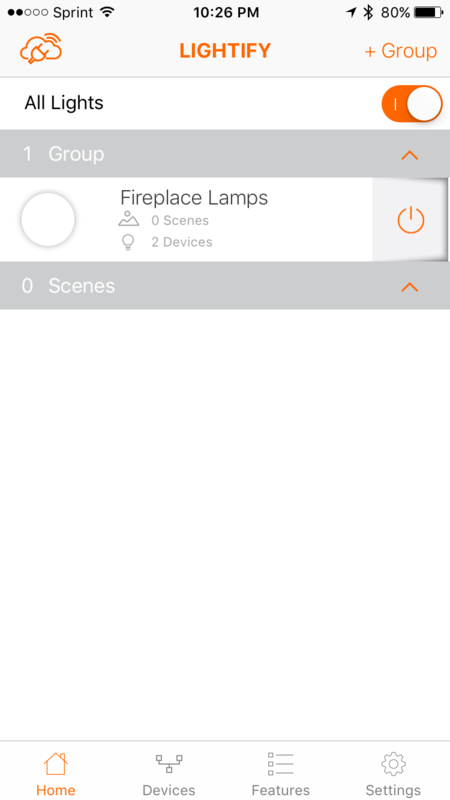 We were unable to pair the lights or control them through the Smart Home app on our iOS devices. We did not try however, pairing them through the SmartThing hub, only through the Lightify bridge. It will probably be compatible with one of the other compatible hubs. From setting up the bulbs, to setting up the app to pairing it with Alexa through Amazon Echo, the process was simple and error free. We found no glitches or problems. Anytime we used the app to control the lights it did so without any problems, and we had the same experience with Alexa. There is about a 1- 2 second delay when turning them on via the app or Alexa, but this is the same we’ve expected while trying any smart device. As for the difference between these and Philips Hue, one of our staff has the Hue lights in their home and very much likes them. You can read her review here. This is why actually we decided to see if we could find a less expensive alternative and we think we’ve done that. In our opinion you won’t be disappointed with these over the Hue setup. They did everything we could do with the Hue bulbs with the exception of working with your music, and coming in at a lesser price point. However, if the fun of watching your lights react to sound is something you really want or you’re at all on the fence about which to get, we suggest that if possible you go ahead and try both out through the Amazon 30 day money back grantee. Our final opinion: The Lightify smart bulbs are perfect for those just starting out building their smart home or for those adding to an existing smart home setup. They are one of the best and least expensive smart bulb systems that we’ve come across and we give it 4,5 stars out of 5. We took off half a star since it doesn’t completely have all the features of Philips Hue, but in our heart it gets a 5 out of 5. Great features, great price. Works well, no glitches. Works with Amazon Echo. Has almost all of the same features of the Philips Hue bulbs, except for playing along with your music.